Here at DFW SEO we do not require our clients to sign a long term agreement. We are able to do this because our clients want to remain with us due to the results they see. Every month our clients choose to stick with our company because of the ongoing SEO work we provide. They see their sites rise to the top page of Google results and they don’t want to lose that. Our portfolio of SEO client work in Dallas / Fort Worth demonstrates the results we can accomplish for your company. If you are ready for your DFW website to dominate online for countless keywords in your local market, talk to us today. And check out the people below who are already reaping the benefits of our premium SEO services. 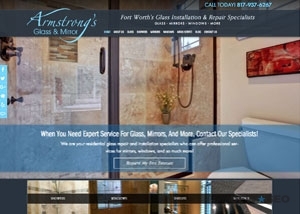 Another one of our featured clients is Armstrong’s Glass & Mirror. This local Fort Worth speciality company has risen to the top of Google’s search results for countless important keywords. They continue to work with us every month because of the outstanding SEO services we provide which result in important organic clicks. Knowing keywords for ones field is just part of how SEO works. You also need a team that knows how your customers will search for you. Heine Propane is another of our highly successful clients. 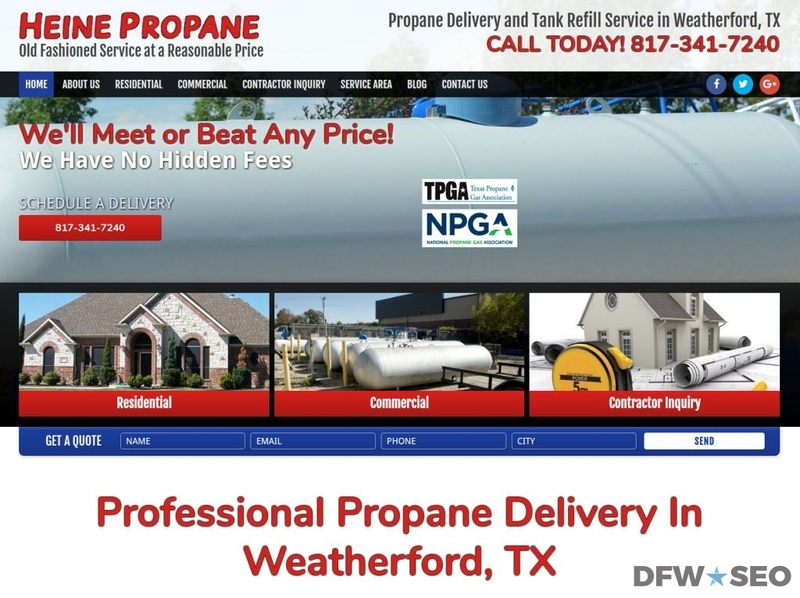 They have seen fantastic results for their propane website and rank number one in their field for Commercial Propane in their region! You too can experience this level of success with quality DFW SEO work on your website. And So Many More! With results like these, your internet marketing and DFW success is just a call away. Want to learn how proper SEO can improve your local website? Call Dallas Fort Worth SEO at 800.231.4871 today! Updated on April 8, 2019 at 4:44 pm by Dallas / Fort Worth SEO.